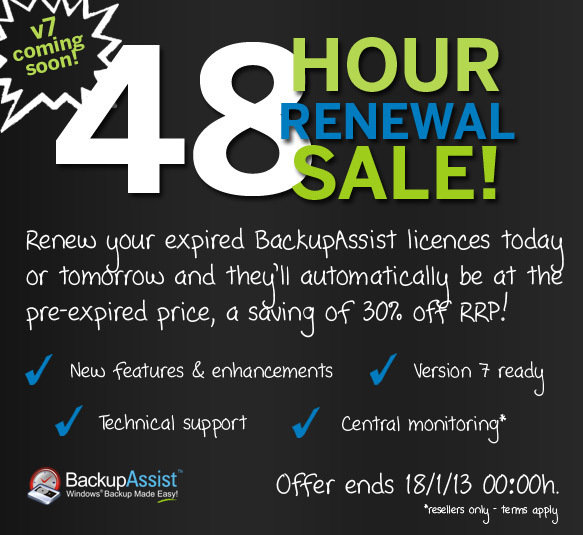 Get ready for BackupAssist version 7 with 30% off expired renewals – 48 hours only! To process your order simply visit our renewals and upgrades page. For any questions about this promotion please feel free to get in touch.